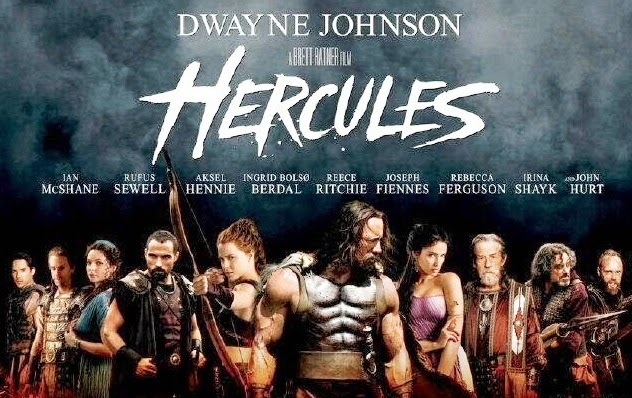 Hercules - Not so Herculean effort by the makers. This movie fails to depict the adventures or labours of Hercules fairly and the story-line is so lean that the audience might feel it very mean with justice to Hercules undone. As for the performances and other technical departments are concerned; 'The Rock' is Rocking with a Rock-Solid performance. Dwayne sways all the way with the looks, appeal and acting. The cast, costumes and sets are apt, grand and satiating. Though the plot is short, it may be just an initiation for further installments in the long run. However, the returns may decide the future of this visually great but essentially limited and emotionally tired attempt. Nevertheless, it succeeds to tempt.